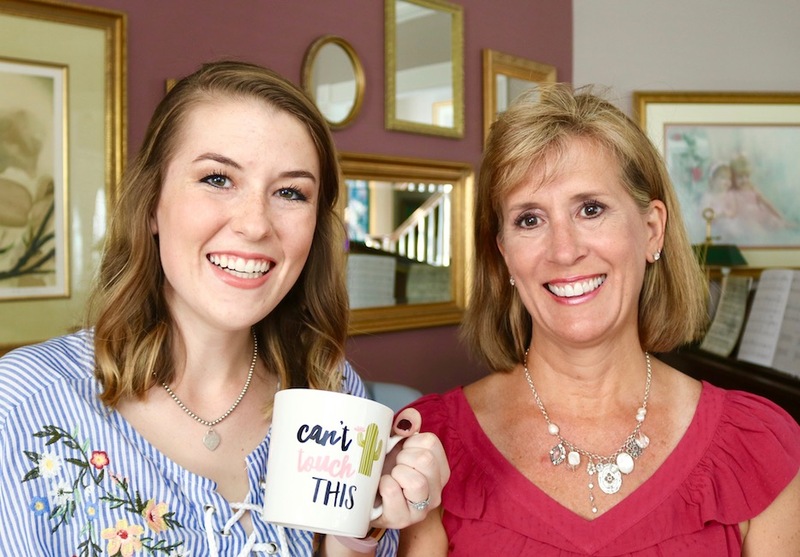 You may have seen the first edition of ‘Coffee with Kristen’, featuring my lovely momma talking about her preparation for the Camino de Santiago. Click here to read & watch that post we did together before her trip! Once she returned from her journey to Spain, she was so excited to return to my blog and channel to share more about her experience! I wanted to give her the opportunity to share her stories and lessons here! I get so much of my creative and writing passion from her, so it’s awesome to get to share that love back with her through my blog. I’ll also include some of her favorite photos from the trip, and her ‘one second video a day’! My mom had such an incredible time throughout the two-week trip, where she walked 200 miles along the Camino with a group of 20+ others. She has so many great stories and lessons from the trip, so I wanted to have her write about her experiences here as well. Before the trip, our first video was more of a Q&A, but I want this post to be more candid from her! In this video, I love how she mentioned how over the course of the trip, she felt herself growing into a better version of herself. She also realized how important it is to be verbal and open in sharing about her faith, which I loved to hear, as a faith blogger. As a hard-working mother-of-three, she also expressed how “not everyone takes the time to just go do something”, that you feel like you’ve been called to do. It wasn’t easy to take another two weeks’ vacation to take this trip, but she knew it was something she had to do. How great is that?! There were so many great wisdoms and truths from her trip that are so applicable to life, where ever you’re at. She hiked through fields, mountains, and valleys, and had lots of time to pray, grow with others, and learn along with way. I wanted to give her a chance to share some of her top lessons that we didn’t have time to cover in the video! Mama-blog takeover :). She also took this video capturing ‘one second a day’. It’s a quick video but a great overview of the trip! Whether it’s preparing for the LSAT, a test, or starting a job, be prepared and follow the signs that are put in place for you for the task ahead. Learn from experts and prepare yourself with the right gear for your journey! 2. Tackle the tough stuff first. 3. Find your own pace. 4. Sometimes, it’s good to take a detour. One of the days, we saw a sign for a 2 km detour to a church. We still had a long way to walk that day, and the 2 km detour ended up adding about 5 miles to our day! But it ended up being such a cool detour, ending at this church that was built in the 4th century. It meant a lot of time and walking outside where we were going that day, but in life, it’s important to have a goal you’re aiming towards… but take time to take the detours! Even if you feel like you don’t have the time or energy, take the detours. The detours on the journey can sometimes be a greater experience than the original destination. 5. Take advantage of what was left by those who came before. Leave a legacy for those who come after. Throughout the walk, we visited churches build hundreds (and hundreds) of years ago, ate lunch in a house that was built before Christopher Columbus discovered America!, and walked across a bridge built by the Romans — that St. Francis of Assisi walked over in the 1200’s! We all can’t build a church to last the next 1000 years, but what’s your legacy, what lessons are you leaving for those who come after? The journey might be long and you can’t always see the destination. Stay focused, break things down into what you can manage. Enjoy the present moment and take breaks along the way. Learn to take care of yourself during the journey. I’ve always been the one to keep going without taking any breaks, but I learned quickly while walking the Camino the value (and joy) of breaks along the way. 7. Everyone has a story. You don’t know the burdens others are dealing with. Extend grace first. Along the entire Camino, you encounter many other people and hear many stories. One day I was walking a little off to the side of a group, enjoying some quiet time. Except the time wasn’t very quiet because of a guy that started walking with us and kept talking, and talking, and talking. I was struggling to stay focused on my own thoughts, but he kept talking and talking. About the time I was going to stop to separate myself from his chatter, I learned his story. He had had a stroke the year before, gone through extensive rehab, and had a dream of walking the Camino. I went from being annoyed to being inspired pretty quickly. You never know what you might hear if you take the time to listen! 8. Focus on where you’re headed but don’t miss the sunrise behind you. One day we started out at 3:30 a.m. to walk under the full moon and stars. The experience was especially powerful and moving as we walked under the moonlight. You didn’t really notice the gradual change from moonlight to sunlight, but at one point I thought to stop and look behind us. We witnessed an absolutely stunning sunrise, and we would have missed it if we had not stopped to turn around! Sometimes the beautiful experiences in our lives might be the really quiet ones beyond what we’re focused on. Take the time to stop and look around. 9. Re-evaluate what you really need in your pack. We had a service deliver our suitcases from one village to the next each day, so we only carried a day-pack for each day’s walk. In the beginning, I had a lot of “stuff” in my pack that I thought I might need. Over the course of the two weeks, I ended up getting rid of a lot of the extras, focusing on only what I really needed each day. I became much more confident in knowing I didn’t need to carry the extra weight and whatever it was I needed during the day would be taken care of. Learn to trust more in God and let go of the extra burdens and weight you might be carrying. It was so special to have my mom as my special guest again! She has so many great lessons to learn and I hope you can apply some of these to your journey, whatever that may be! I’d love if you subscribed to my YouTube for future videos or joined my email newsletter below for exclusive content and weekly updates! How do you think my mom did on this post? 🙂 What’s one thing on your personal bucket list? Leave me a comment! One of ‘big’ goals is to write a book! Like this? Share on Pinterest! Aw, you and your mama are so cute! What an incredible journey! Your mom is so cute and I really enjoyed watching/learning more about the walk.